I have been thinking about building a new computer for well over a year and this summer I really started thinking about it again. I thought about waiting for the Zen2 chips to come out instead of using Zen+ but, you know what, never is a good time to build because something bigger, better, and cheaper will come out tomorrow. I said what the hell, and started shopping. I bought the 2600 because 6 cores is all I really need for gaming plus some multitasking on the side and as far as price goes, it's a much better value than the 2600x because one, it's basically the exact same chip, and two, most people are overclocking them to the same frequencies. The CPU was on sale for a while in October for $150 which was definitely something that helped sway the 2600 into my possession. I spent a lot of time trying to decide what I would use for this build. I have a good number of coolers sitting around but decided that with the Meshify C supporting 360mm rads that I'd give a 360mm AIO a shot. After some research and deciding I wouldn't use stock fans anyways, I went with the S36 because of the price and the pump looks pretty cool. A point I'd like to make about this AIO, if you're planning on using the installed fan header, you will need extensions. I simply ended up using a splitter and put two fans on one part of the header. The other reason why I went with a 360mm AIO was the fact that I could get a good bit more cooling potential with even slower fan speeds. While surfing the web, and with light-medium load on the CPU, the pump is louder than the fans I used. I wanted a motherboard that would overclock well, and traditionally I've been an ASRock guy, but reading quite a few reviews ASRock's only worthwhile board for X470 chipset is the taichi ultimate, coming in at $250. I liked what Gigabyte did with the Aurous Gaming's VRM heatsyncs but eventually the orange color just didn't jive well. I eventually decided to go with the Asus prime because it had good reviews, looks good, and newegg allowed me to bundle the CPU, MoBo, and RAM together in order to get an extra $23 off, after all of the sale prices had been applied. I have two complaints about this board, which i guess would be Asus gripes. First you can't control the AIO through AI suite 3 if it's plugged into the AIO pump header on the board. You can set up a pump "curve" in the UEFI but as soon as you open AI suite 3, it will drive the pump to max, and with the S36 running the fans directly off the pump, it drives them to max speed as well. This can be worked around by using mobo PWM headers, but controlling the cooler as one unit would be nice. Second your fan "curves" only get 3 points, which is an angle.... not a curve. Through my research I found that RAM speed helped Ryzen chips much more than core overclocks so I decided that 3000 would be the minimum speed that I would get. 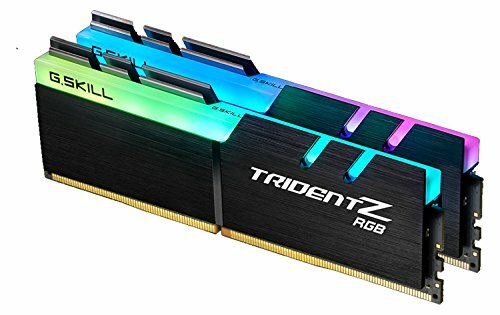 When I was shopping for the CPU, the 3200 speed Trident Z was the same price as the 3000 speed RAM, so I picked up the 3200. I've always had G.Skill RAM and it has never let me down, so that's about all I have to say about that. -A samsung 970 EVO NVMe drive for the OS, and other necessary programs. -I pulled the Samsung 850 evo that I used in my last system for the OS, necessary programs, and Games to be dedicated in this build for games and less than necessary programs. -Seagate FireCuda for my media, pictures, word docs, etc... I honestly don't remember how I came by this 1 Tb drive, but I had it in my desk. I think I was going to put it in my laptop then never did. I was torn on GPU's. The major issue was the max GPU length available to me with the setup in the Meshify C case. With a fan and a radiator in the case you cannot fit any of the 3 fan cards in the case, but I have seen people use 360 AIO's with fans in a pull configuration and take the middle fan out allowing them to put the 3 fan cards in. I didn't want to do that because I wanted the full cooling capacity of the AIO (there will be more reflection on this later). Eventually I decided on either the EVGA 1070TI FTW2 or the EVGA 1080 TI SC2. I found a guy on ebay selling the 1080 TI's for $515 after s/h. I jumped on it and a week later I had a 1080 TI SC Black edition sitting in my door. I've been in communication with the seller and he now knows that there is a difference between what was advertised and what was sent. I'm not really upset because it's a damn fine card, but he has agreed to refund some of the purchase price, making it a pretty good investment. I currently game on 1080 but am in the market for a 2k monitor, possibly 4k, we shall see. 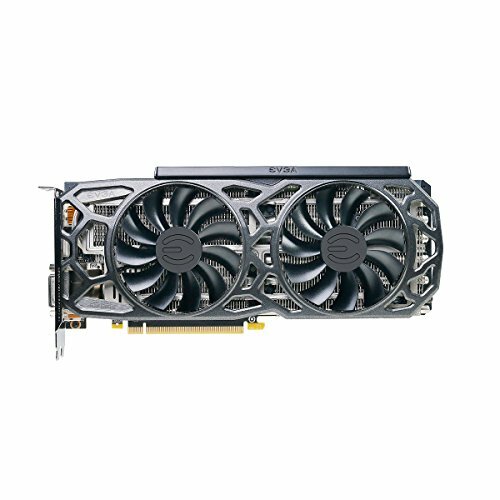 And I totally understand that the 1080TI is grossly overpowered for a Ryzen 2600, but I plan on making this card last through this computer and into the start of the next build that I complete in another 3ish years. This was perhaps the hardest part to make a decision on. There are so many good looking cases out there but what absolutely killed me on them is that they're set up for custom water cooling loops and they are way to big for use with a single AIO or air cooling alone. I ended up looking at a few different cases over the course of a two week period, every single day. At first I didn't like the Meshify C's front panel, but over time it grew on me and eventually I pulled the trigger and dropped the cash. Some points I'd like to make about this case. 1.) FD must have had The Mountain come in to the factory and torque down all of the screws. 2.) If they would extend the space between the front dust filter and mounting points for the fans by 15mm, then you could fit 25mm thick fans in this space, put a 30 mm radiator on the backside and still have enough room to install all of the 3 fan cards currently on the market with the exception of MSI's Duke cards, and the case will still be 3.5" shorter than every other mid size tower out there. I will be mentioning this to FD with the hope that one day we will get more power in this size case. 650 watts so that I have plenty of headroom for overclocking, EVGA PSU's are amazing, and it was on sale. I've always been someone who prefers function over form, but I thought that putting some RGB fans in the front of the case would look quite cool, especially the corsair LL120 fans. The problem is that RGB fans on the market just don't have as high of a static pressure rating as, say a noctua fan (7-8 mm/h2o). Even the SP120 performance editions have 3.2 mm/h2o and most RGB fans are half of that. I had two of these sitting around as I used them in a push/pull configuration on my old cryorig H7 which helped keep noise levels down. at $27-$28 for two of them, they're a good deal. Maybe one day the RGB fans will catch up and provide a higher static pressure. I have discovered that I need two more for the top to help when I'm pushing the CPU and GPU. Currently the CPU is overclocked to 4.175 MHz, which I'm still working on hitting 4.2, and I believe 4.25 or 4.3 is possible with this chip, we shall see how that goes though. I have run the Userbenchmark.com tests and my 2600 placed in the 5th highest scoring position of all 2600's, which when transferred over to the 2600x would be in the top 10 chips. Since that score was made someone has knocked me down to 6th. I'm still working on finding my best overclock on the GPU but I'm currently working with +50 MHz one the core, and +550 on the memory. Just to add some nice touches to the case I filled in the FD logo on the PSU shroud with white paint, and a racing stripe, it does not look very good up close because I just do not have steady enough hands, but from just a couple of feet and especially with the glass on it looks fine. I thought that just that little bit of white gave the case a nice touch. I also had a friend 3D print the white part covering the hole in the PSU shroud adding another nice touch. All in all I'm quite pleased with this build. It is extremely quiet when I want it to be, though the GPU backplate get's quite warm when I have the case and GPU in quiet mode, but I can easily push a ton of air through the case with a quick profile change and keep things nice an cool. Sorry about the book that you've all read. I hope you all enjoy. Outwardly common looking item that possesses something special or unique inside. Not a textbook application of the idea, but a very nice build nonetheless. Love your choice of words, sir. As always. I forgot to throw it in the description but while gaming it stays below 30 dB as a system. I guess what I was going for was that it's a lot of power and doesn't make much noise. I do appreciate the comment. And, I'm not exactly the most creative individual. Nice all around. The Meshify is easily my favorite mid-tower case, but I agree on the limited GPU space - it was a tight fit for my 1080 as well. Good build. Just as a side note, the Asrock Taichi X470 is fine as well (doesn't have to be the ultimate) but it's still upwards of $200+. The Asus Prime Pro is a nice mobo, I almost went with it for my build. You say sleeper but I see a woke build? Your white accents are dope! Just a few but enough! Congrats on that OC of your cpu. Really nice bro, enjoy your new pc! Really nice build, congrats. Going for something similar with Ryzen 2600. I measured it up and had a friend create it using a 3D printer.